This is a favorite winter activities for kids. 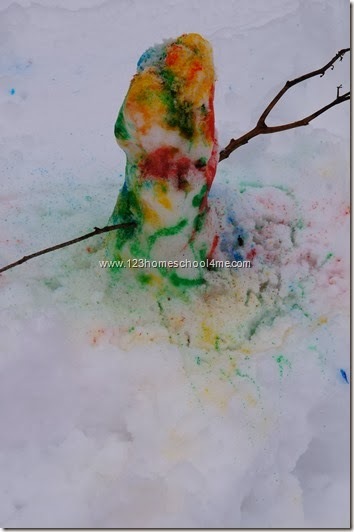 They will love using squirt guns to paint in the winter snow. Just because it’s winter doesn’t mean all the outdoor fun needs to end. There are lots of great kids activities that only work in winter. 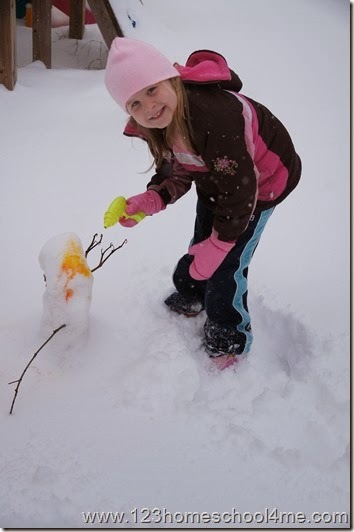 If you are looking for something different than sledding or building a snowman, why not try this fun Squirt Gun Snow Play Kids Activity. I bought a three pack of squirt guns for $1 at Target during the summer. 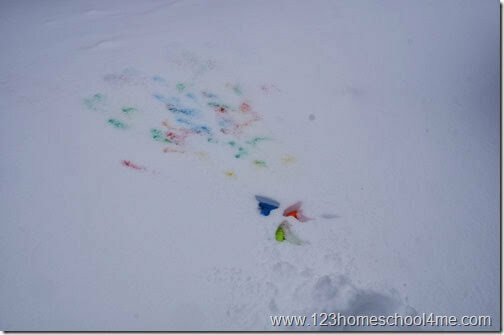 To get ready for your squirt gun snow play just put a couple drops of food coloring in your water gun and add water. 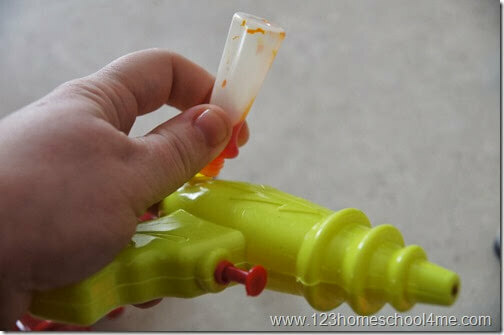 Put the stopper in and continue filling up the rest of your squirt guns. 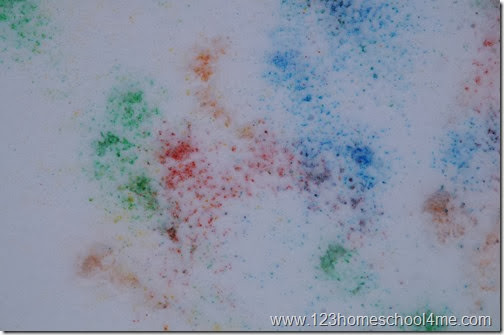 Let your kids squirt the pretty white canvas the snow has given you. The colors are vibrant in the white snow. It is so pretty! My Kindergartner decided it would be fun to decorate her Olaf (yep we love Disney’s movie Frozen) Snowman with pretty colors too. Didn’t he come out looking cool? I just love the bold colors – now are backyard is a winter wonderland with a splash of color!